The studio and workshop complex in Panipat still stands on the same spot as the first shed where weavers set up their looms to make carpets sixty years ago. While Panipat has grown more industrialised over time, the organisation’s workspace has maintained a relaxed air. It reminds one of a more laid back time, when handcrafting was a way of life and not the production driven industry that it is today in Panipat. Bare brick walls, verdant grounds and warm minimalist Taaru furniture create a nurturing ecosystem. Sustainable and simple living is practiced in the running of the complex, eschewing air-conditioning for wide open windows, letting nature in. From here, a small and close-knit team manage operations and co-ordinate the production of thousands of hand-woven rugs every month. These rugs, designed and woven in-house, travel across the world finding homes in North America and Europe. 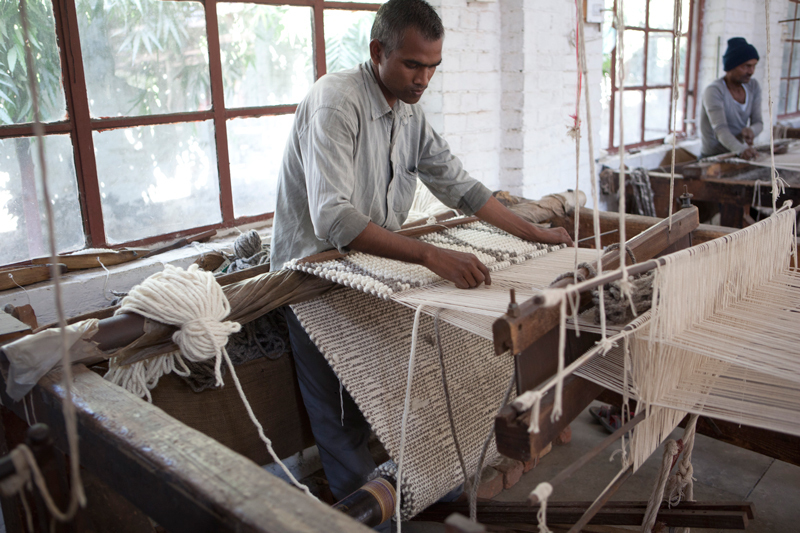 The products are hand-woven by artisans in Panipat, from natural fibres of jute, cotton, linen and wool. Dialogue with international clients, experimentation with construction techniques and collaboration with spinning mills inform new product development. Our network of artisans comprise of both ancestral weavers and new trainees. While in several weaving clusters, weavers are giving up the craft for other occupations, we have been able to induct younger weavers and provide them with a stable source of income. 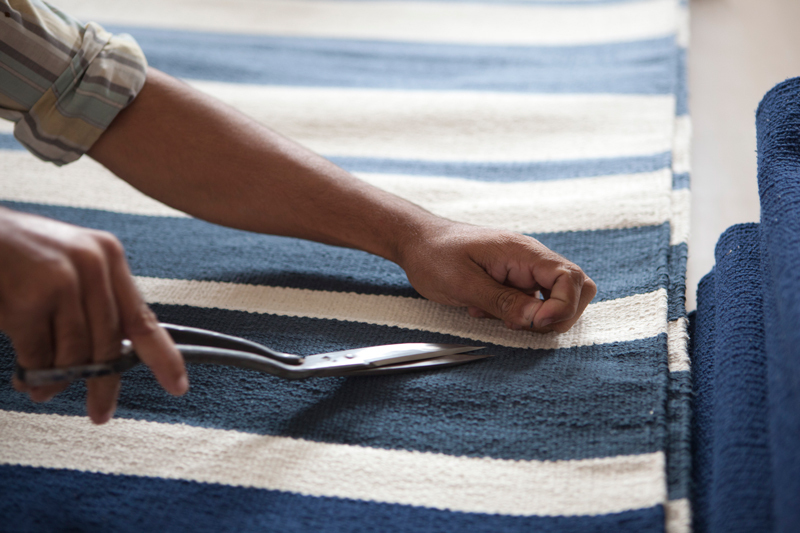 Learn more about the artisans who make our rugs here.